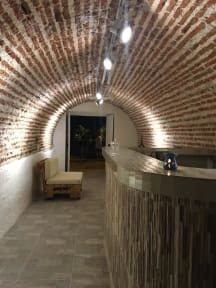 El Arsenal Hostel Boutique i Cartagena, Colombia : Boka nu! We really liked the arsenal hostel! It was clean, close to practically everything and the staff was super helpful and friendly! The breakfast was ok! Great location. Close to both the old town and the main backpacker area. The hostel is clean and the facilities good, except the wifi, which is absolutely atrocious. The showers could be cleaner and the hostel lacks a bit in common areas. Staff is nice and helpful.